It was an awful game though. Just a standard 1st person shooter, not great, but not too bad. I did like walking through the 40k universe and see it, especially the Dicator Class cruiser. Also, the cut scenes were pretty cool. you guys know that whatever game you’re talking about is based on the much much larger Black Library material right? what game are you talking about? the only wh40k game that I know of is Dawn of War, and that was a RTS, not a FPS. 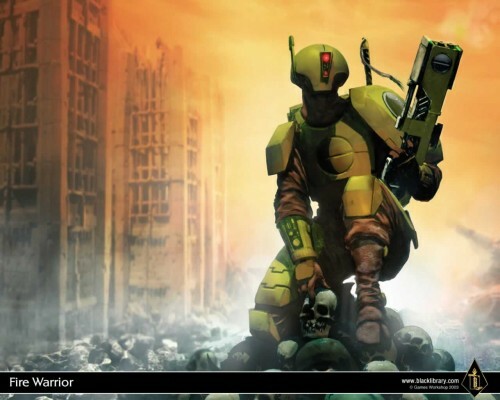 Fire warrior was an FPS about 4 years if not more back. It was deffinatley on PS2 not sure about other platforms. The black Library Fiction for 40K is fantastic, I recommend Dan Abbot above most though. Also I loved Dawn of War etc.